A former senior policeman has called for the murder of an Asian man in Lanarkshire more than 13 years ago to be re-investigated. 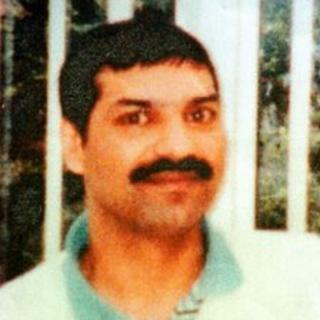 Waiter Surjit Singh Chhokar was stabbed to death in Overtown in November 1998. Graeme Pearson, who was head of crime at Strathclyde Police at the time, said the case was "unfinished business". The case sparked controversy after prosecutors failed to secure a conviction, despite the arrests of three men and two subsequent trials. Two official inquiries ordered in the wake of the legal episode made allegations of "institutional racism". Following the publication of the reports, then Lord Advocate Colin Boyd QC said the Chhokar family had been failed by the police and prosecution services. Mr Pearson, who is now a Labour MSP, said reform of Scotland's centuries-old double jeopardy law - which came into force at the end of last year - provided an "opportunity" to look at the case again. The legislation aims to allow the retrial of people who may have escaped conviction in the past. Under the reform, the double jeopardy principle which prevents a person being tried twice for the same crime will be enshrined in law but will permit exemptions. Mr Pearson said: "It feels that with this case there is unfinished business given the way this was handled by the Crown at the time, allowing the accused to blame each other. "Now that we can reopen the investigation into crimes like this again in Scotland, it would seem an ideal case to review and ascertain whether there is a possibility of a retrial." SNP MSP Humza Yousaf, who is also a member of the Scottish government's justice committee, said the case of teenager Stephen Lawrence - whose killers were jailed this week for his murder in 1993 - had shown the impact new evidence and new technology could have in delivering justice. He added: "Justice is still to be delivered for Surjit Singh Chhokar and I would urge the Crown Office to revisit the case and to see if and when they can bring a fresh trial and put the perpetrators of this crime before the full force of the law." A Scottish Government spokeswoman said: "Following the passage of the Double Jeopardy (Scotland) Act at the end of November last year, the Solicitor General, Lesley Thomson, has already been asked by the Lord Advocate, Frank Mulholland, to review and prioritise cases which may be prosecuted anew under the Act. "Decisions to take forward prosecutions are entirely a matter for the Crown Office, not ministers."